Even though you would find calmness in this town, there are obviously parts of it with lot of hustle bustle too. Karur sure has some famous localities which are filled with crowded streets and lanes like any other South Indian city. These are mostly localities with well known bazaars, shopping areas, companies, hotels, temples, cinema theaters etc. A city is usually a lot identified with the famous localities it holds. Some of the famous areas in Karur are Mettu Street, Jawahar bazaar, Gowripuram, and Thanthonimalai. Mettu Street is a famous locality in Karur which houses some important landmarks in Karur. The light house theater is a well known cinema hall of Karur which is located in Mettu Street. All the major Tamil cinemas run there. Also the light house bus stop is an important area. The famous Shirdi Sai Baba temple is also at Mettu Street. Many of Sai Baba’s devotees come here to pay worship him regularly. Perumal kovil is another religious place you would find at Mettu Street. A lot of other shops, hotels, hospitals, ATM's and banks etc are too available at Mettu Street. A very well known area that it is in Karur, you must take a walk in this street to find a lot of interesting things. Karur railway station and Virarakkiyam railway station are nearby Mettu Street. But also Erode railway station is another major railway station which is at a distance of 64 km from here. Within Karur if you would like to visit the street you can just a hire cab and reach the place. 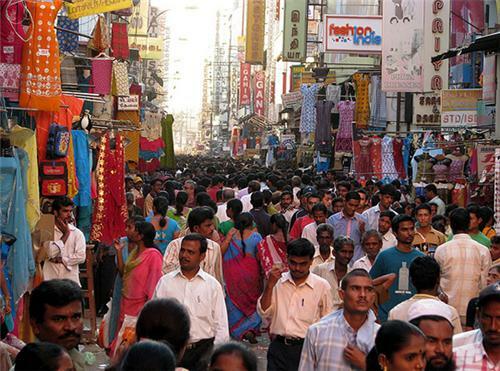 Jawahar bazaar is another busy area of Karur. It lies closer to Gowripuram and Mettu Street. There are two very important places in Jawahar bazaar. The Karur fire station and the other, being the district headquarters of Karur, the taluk office is also situated here. Amongst the religious places, Bazaar Masjid is here and also many temples like the Pillayar temple, Pandarinathan koil etc are situated at Jawahar bazaar. Also the Tiru Nilakandar Kalyana Mandapam (marriage hall) is here. Other than these the well known Karur kidney care hospital is an important place here and also many other bank branches, shops, textile factories, restaurants are there here at Jawahar bazaar. Gowripuram is next to LBG nagar and Jawahar bazaar and comes across as a place full of life just like its neighboring localities. The famous Sumathy sweets and bakery and also the income tax office of Karur are here at Gowripuram. The bus stand masjid is also located here. Apart from these there are also some temples here like the Kamala Vinayagar temple and the Easwaran temple. Karur railway station and Marthipalayam railway stations are the stations nearby to Gowripuram. LGB Nagar lies next to Gowripuram and Anna nagar. The Hotel Residency and Hotel Arunachala, two of the very famous hotels of Karur, are at LGB Nagar. Also, Valluvar catering and hotel management institute, one of the top institutions in Karur is located here at LGB Nagar. LGB Nagar like the other streets is filled with shops and showrooms, restaurants, bakeries, street food stalls etc and also all the other necessary services like ATM’s, petrol pumps, chemists, hospitals etc are present here.